Tania alleges Raman for the dirty MMS. She tells his family that Raman has planted his phone in her washroom to record her MMS while she was having a shower. Her shameful accusations shocks the Bhallas. Simmi and Parmeet have framed Raman by using Tania. They hope that Ishita gets Raman arrested. Tania tells the family that she is dating Raman since few days. Raman tells her that he didn’t do anything wrong. Tania tells them that she helped drunken Raman, but didn’t know about his hidden motives. She calls him a cheap minded person. Raman denies to do anything wrong. He asks Tania to stop lying. Tania tells them that Raman is lying, and she has a proof against Raman too. She asks Shagun to help her get justice. She lodges a formal complaint against Raman. She asks Shagun to promise her justice and get Raman behind bars. Shagun doesn’t believe Tania at first, as she knows Raman. Tania tells them that she wants justice any how. Tania asks Shagun if she will back out and not look into the evidences. 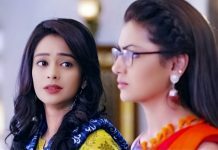 Ishita assures Tania that they will help her, as they also want to know the truth. Ishita asks Raman about the matter. Raman tells her that Tania is lying, he would have gone to Tania’s place as he was drunk, but he can never stoop low. She asks him why does he drink so much that he doesn’t remember anything. He asks her if she doesn’t trust him. She tells him that she believes him. He asks her to go ahead and check the CCTV footage. Simmi tells the family that Ishita will send Raman to jail and get justice for Tania if she gets any proof against him. Simmi and Parmeet wait to celebrate. They want Ishita and Shagun to return home and tell the truth to the family. Ishita and Shagun confirm of seeing Raman in the CCTV camera footage. Mr. Bhalla angrily slaps Raman. Raman denies the blames. Tania lies to them about Raman’s forced romance. She cooks up a fake story. Raman tells them that he didn’t plant any phone. Tania asks them to call police. She asks them why aren’t they doing anything after checking the proofs. She questions their values. Shagun tells Raman that she will get him punished if he did this. The family loses belief in Raman. 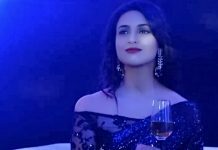 Ishita stops everyone from questioning Raman. She tells them that Raman can’t do wrong with any woman. 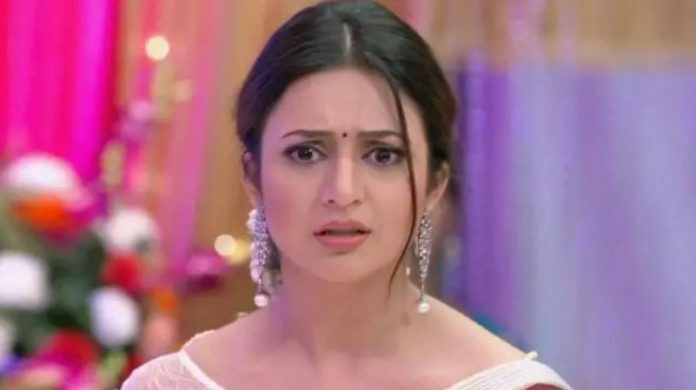 She defends her husband, shocking Simmi and Parmeet. She tells them that she will prove Tania wrong and Raman innocent. She tells them that Raman wasn’t able to walk properly, he can’t plan such a thing in that state of mind. She refuses to believe anything against Raman, who has always respected women. She asks the family to trust Raman. Shagun tells Ishita that if Raman did wrong, he will be punished. Ishita asks Shagun to give her some time to prove Raman clean. Raman gets grateful to Ishita for believing him.